PHPI heads to the capital to catch up with Jayson Fairbairn, otherwise known as Mr London Plumber. Tell us a little about yourself and your background in the industry? I became fascinated from a young age. 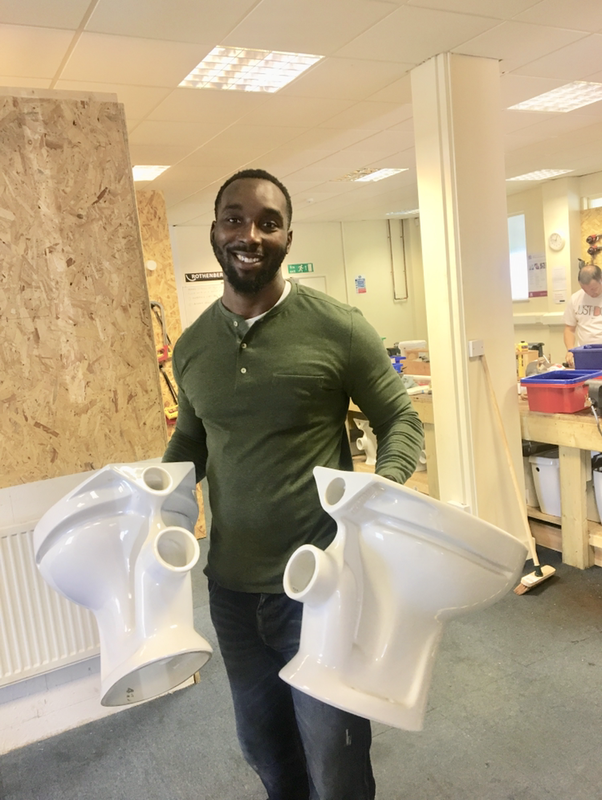 When my uncle, who is a plumbing lecturer, asked me to go on a job with him to give him a hand, I really enjoyed the work – from that moment on I knew I wanted to try my hand at plumbing. Both my uncles were key influencers in the decision to work in the industry. I then went to college to learn the trade, and also started working for a mechanical services company. I worked full time as a plumbing apprentice during my time at college. I enjoyed it and was able to learn a lot on the job thanks to a number of helpful people working with me from the company. It was a small family run business, providing maintenance for commercial and domestic properties. Jobs included working on air handling units, industrial steam boilers and plate heat exchangers. As Mr London Plumber I work closely with my customers to give them a genuine and good quality service to meet their requirements and keep them happy. I care about what I do and my company is my passion, which has led me to pursue teaching, in addition to my main services of plumbing, heating and general repairs. My online service allows customers to book a time slot at their own convenience, while a 24-hour chat service is also available. Is social media used and how useful do you find it? 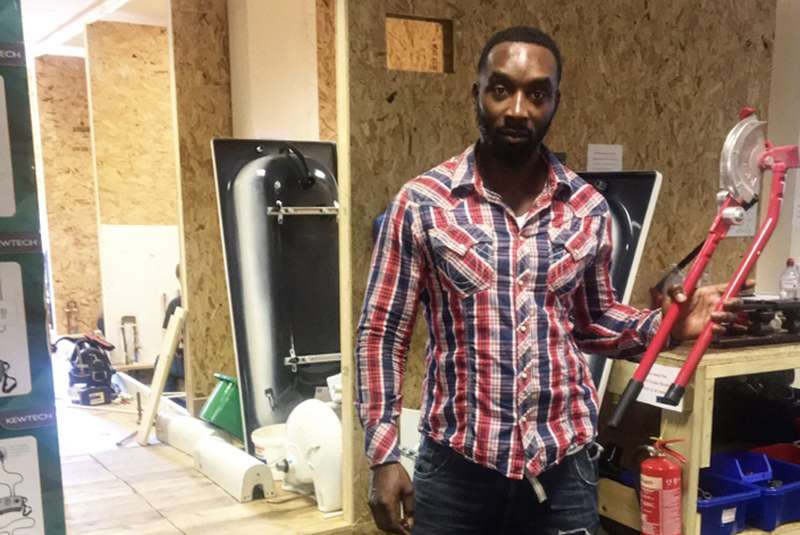 Do you have any advice for fellow installers looking to be successful in the industry? One of my main marketing strategies is the use of social media. I find that at this current time, social media is very influential. Using different platforms also allows me to explain to people what I’m doing on a professional and personal level at the same time – making interesting content via daily videos, for instance. My content has reached a wider audience, including overseas, and I have connected and networked with plumbers all over the world, mainly using my Instagram page: @mr.london_plumber_. My advice to others would be to connect with like-minded people within the industry to build your knowledge. Connecting with brands that you are interested in working with also helps to build relationships with companies and manufacturers. Always showcase what you do as an engineer and show passion for the industry. What’s the strangest thing that’s ever happened to you on a job? I was once removing an existing radiator and moving it from one wall to another. I drained the system and put the radiator on the other wall. Whilst filling up the system, I came to the realisation that I couldn’t find the vent plug. The system began to fill up fast and I started to panic. I got a bit wet, but at the end of the day, you’re not a good plumber till you get wet! I like to spend my time staying fit. I had the honour of carrying the Olympic torch for the 2012 games and I am a former judo champion in the UK and continue to enjoy this sport more leisurely. I’m also a food fan and love to try different restaurants.